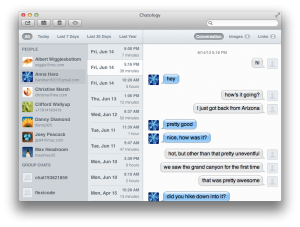 Messages for Mac users rejoice: Chatology is here to save the day! 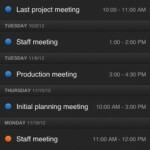 Flexibits, makers of the ever popular Fantastical app for Mac and iPhone — and my favorite calendar app — is trying to solve the problem of searching within Messages/iChat. 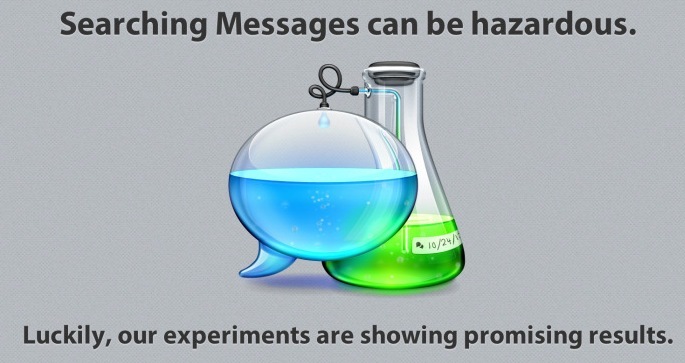 If you’re not using Messages for Mac anymore, I don’t blame you. It’s slow, buggy, and you can never find anything you’re looking for. And, even if you do, you can't filter the results to suit your needs. Chatology helps with that. And it does so quickly and easily. Now, ⌘+F in Messages is useful again! Instead of that useless search bar in Apple’s app, with Chatology installed, ⌘+F will launch Chatology instead. 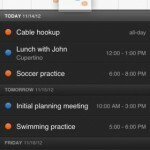 It’s automatically integrated and you’re ready to actually find what you’re looking for. Not only is searching in Chatology super fast, you can also filter your chats by person, date, keyword, and even type of communication (conversation, images, links). Due to limitations by Apple — probably the fact that the app one ups their own “feature” — Chatology can not be offered in the Mac App Store. But you can purchase it from the Flexibits Store for $19.99. 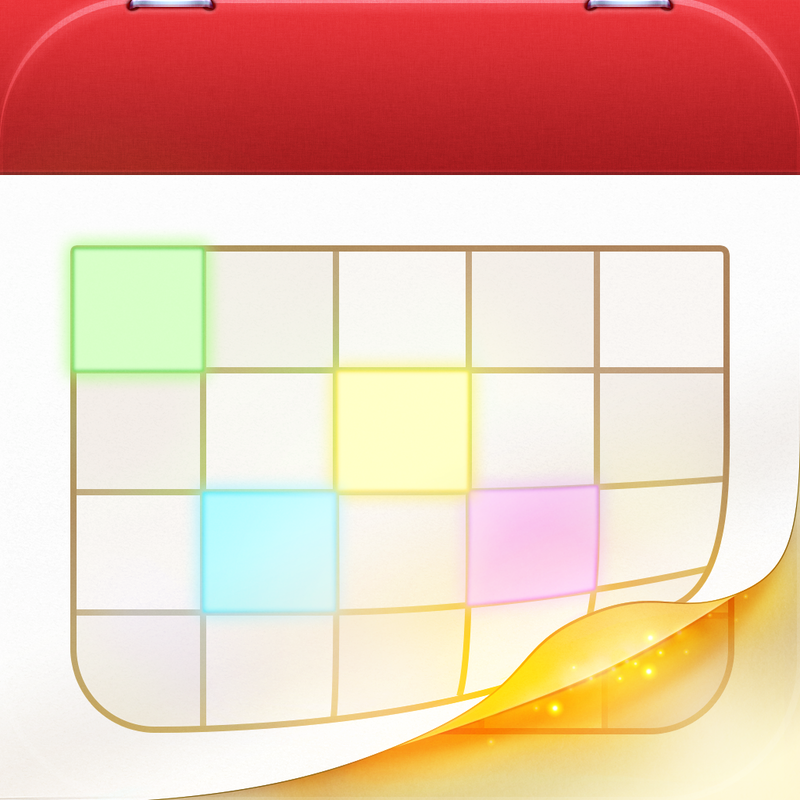 And if you're still not sure you need this in your arsenal of great Mac apps, go ahead and try the free trial first. 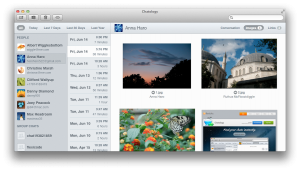 Keep in mind, though, that Chatology requires Mac OS X 10.7.5 or later. 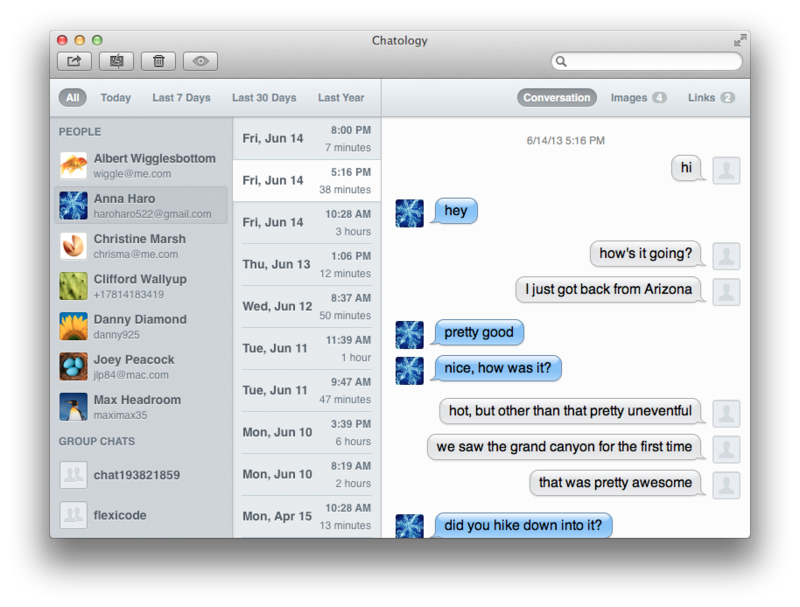 If you find yourself searching Messages/iChat — or not, because they like to crash when you do — you need Chatology. Plus, it has a pretty badass icon.